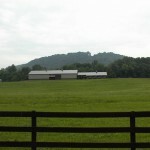 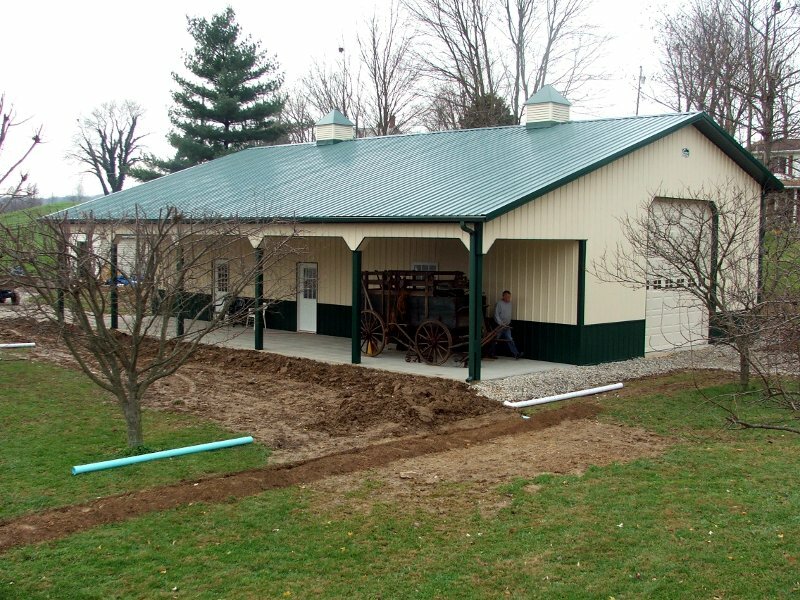 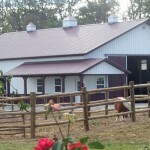 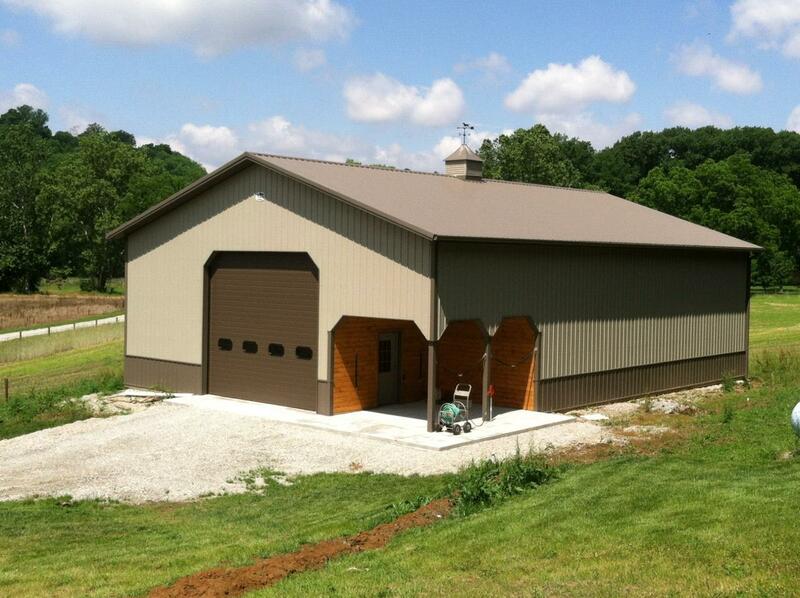 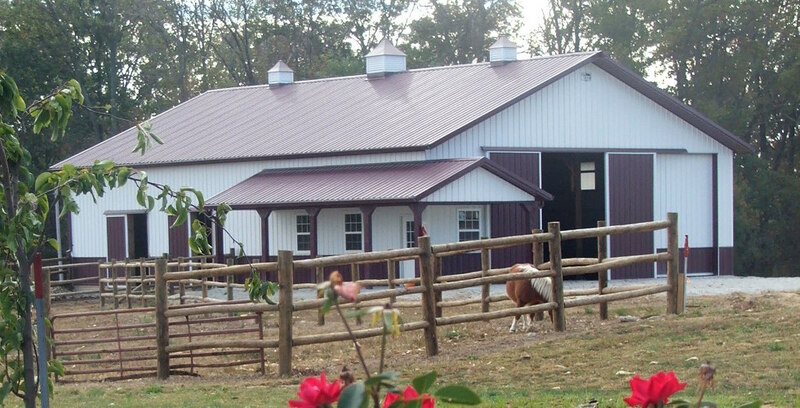 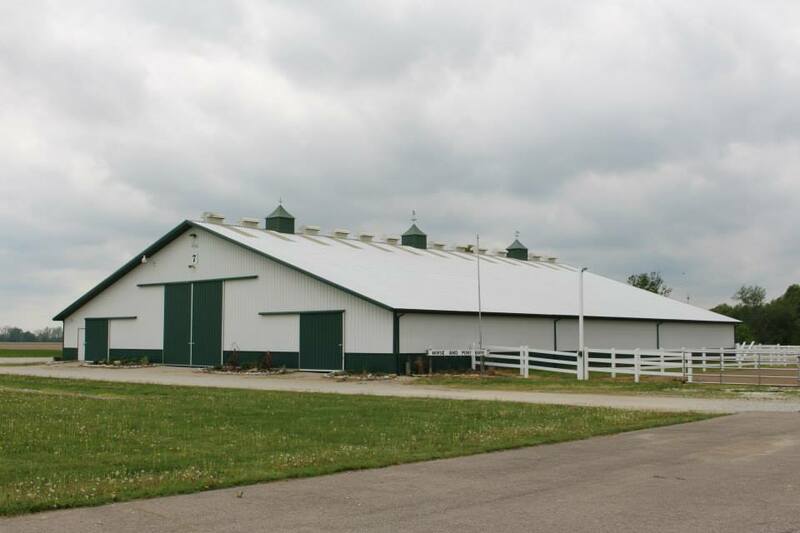 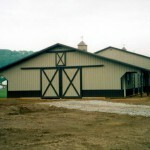 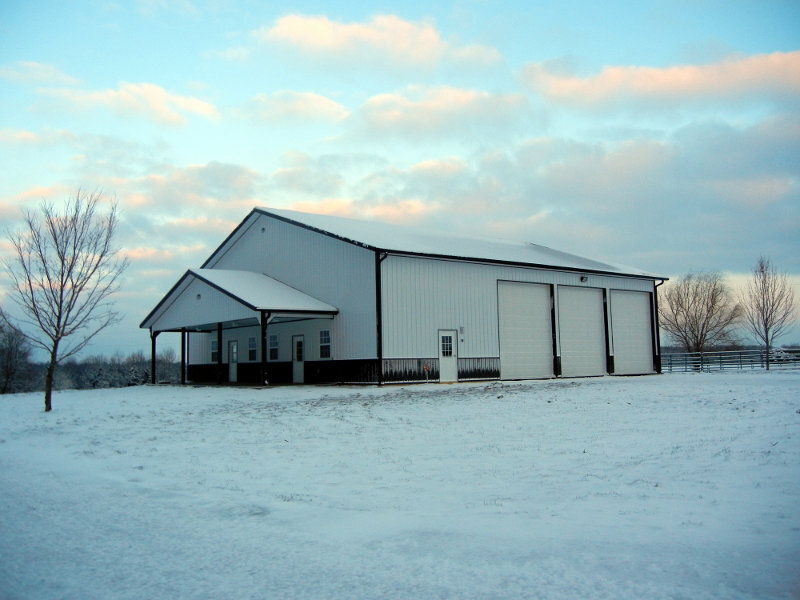 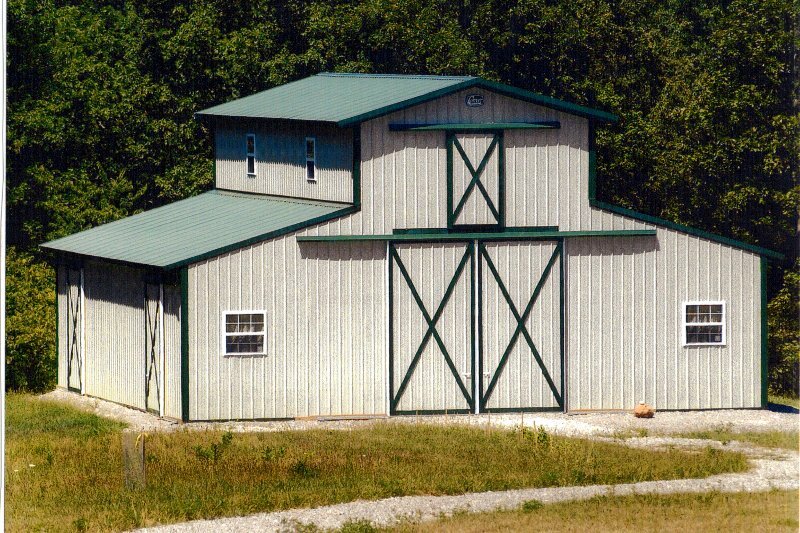 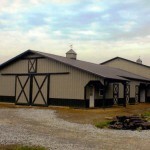 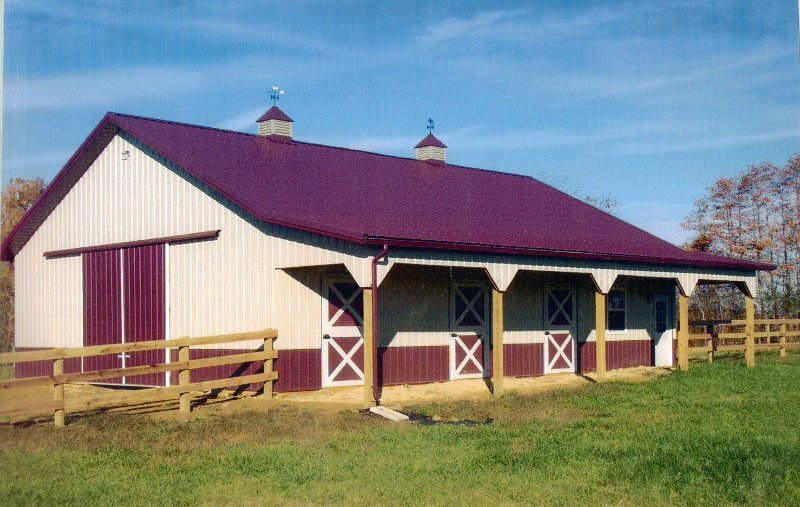 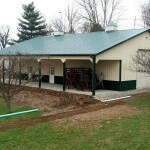 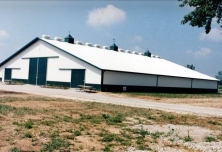 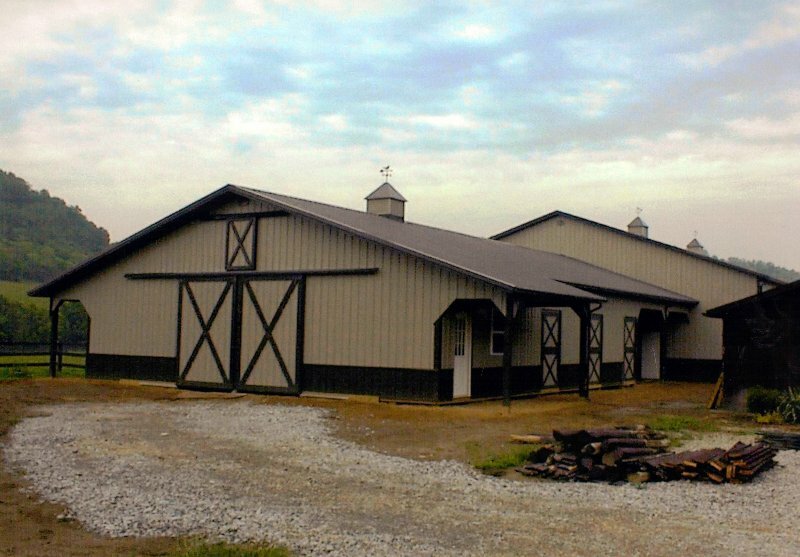 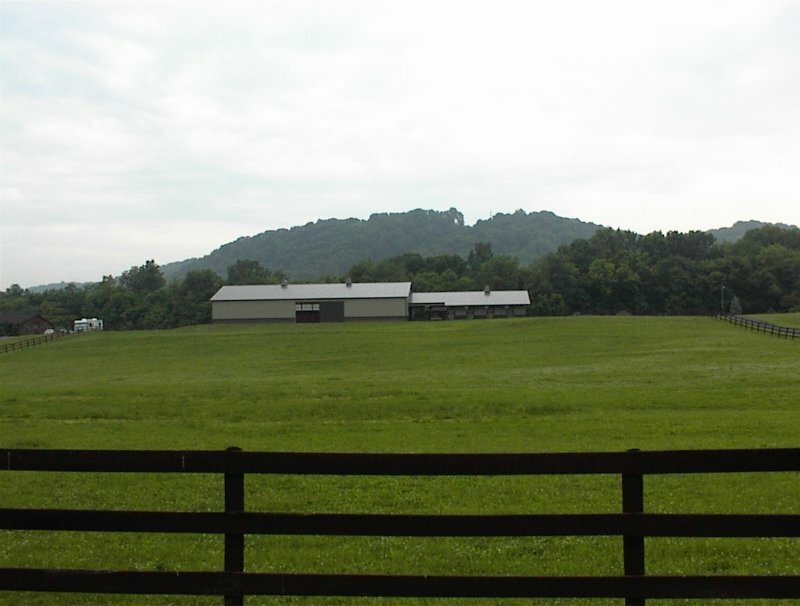 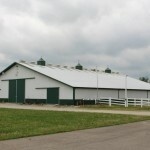 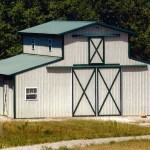 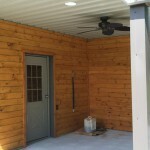 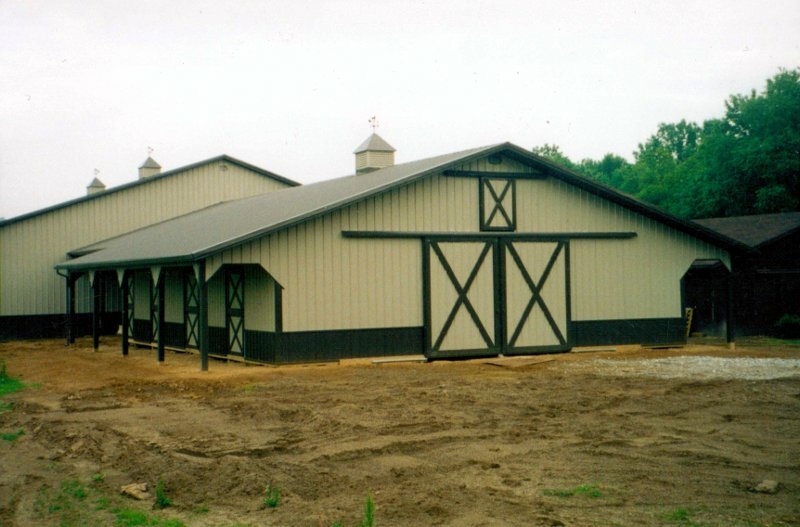 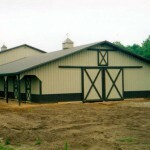 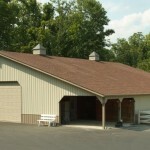 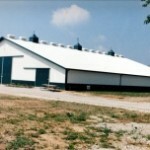 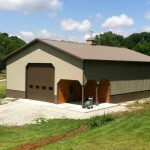 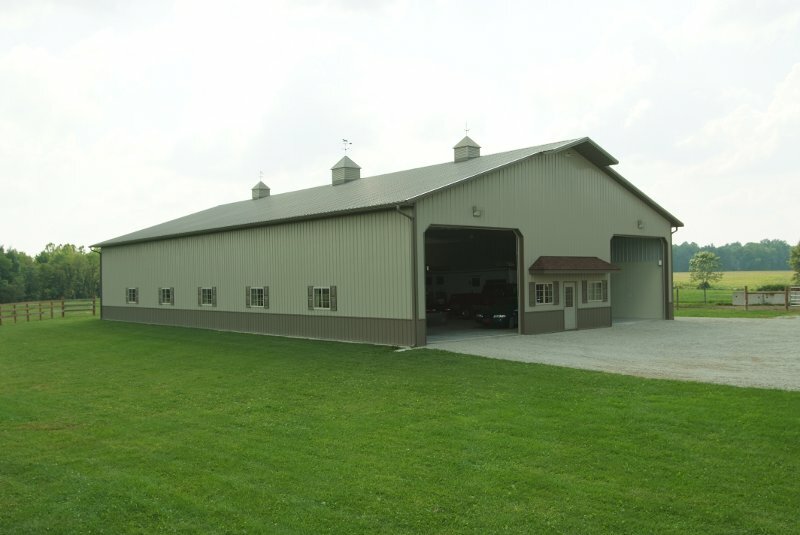 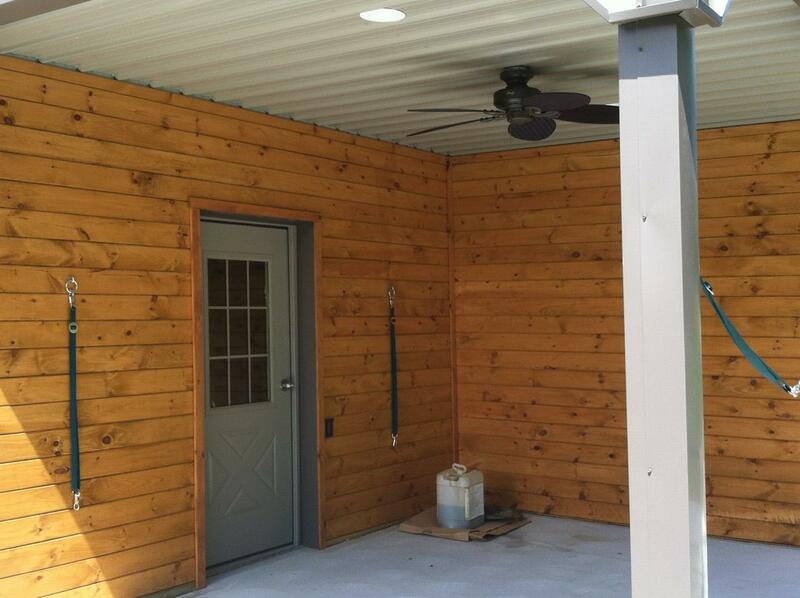 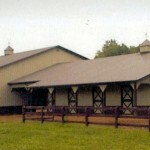 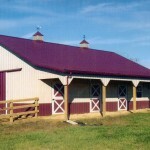 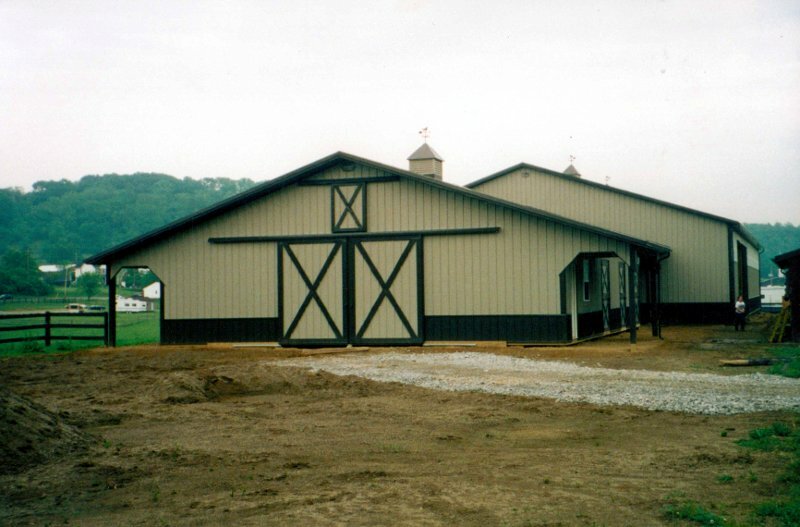 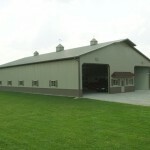 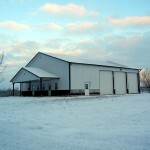 60′ x 120′ horse riding arena with a 40′ x 20′ breezeway between arena and stall area. 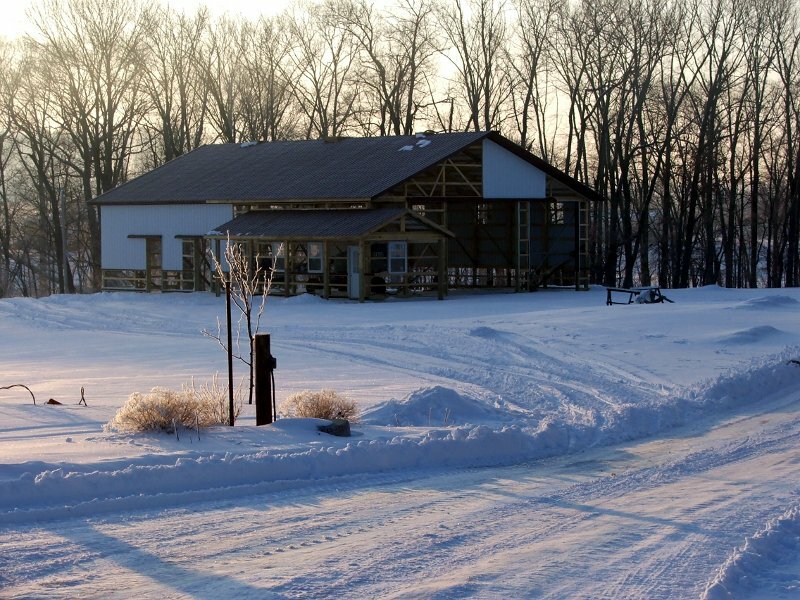 Construction on the building continued during the winter. 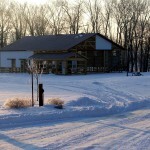 Post foundations are better adaptable for wintertime construction.